Louis R. Kavoussi, MD, is Chairman of Urology for Northwell Health and Waldbaum-Gardner Distinguished Professor of Urology at the newly established Zucker School of Medicine. He heads the Arthur Smith Institute for Urology, which is dedicated to the treatment of urological disease through innovative surgical procedures, diagnostics and medical care. Dr. Kavoussi is a world-renowned surgeon recognized for his expertise in minimally invasive approaches. He has pioneered several new operative techniques, including the laparoscopic nephrectomy for kidney cancer and kidney donation. He was also part of the team that performed the first laparoscopic prostate removal for cancer. Dr. Kavoussi completed his undergraduate degree at Columbia University and medical degree at the State University of New York at Buffalo. 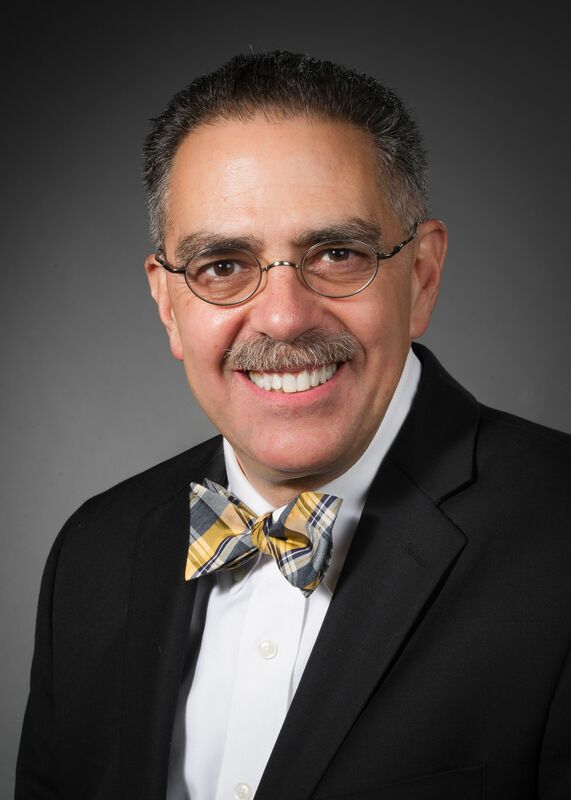 He obtained his urologic training at Washington University of St. Louis and directly following residency was named chief of urology at the Jewish Hospital of St. Louis. In 1991, he was appointed assistant professor at Harvard School of Medicine and director of endourology at the Brigham and Women’s Hospital. In 1993, he joined the faculty of Johns Hopkins University School of Medicine, where he was vice chairman of urology and Patrick C. Walsh Distinguished Professor. In 2006, he joined Northwell Health as the chairman of urology. He is also a professor of urologic surgery at the Zucker School of Medicine. Duty B, Andonian S, Ma Y, Peng S, Shapiro E, Dhawan V, Richstone L, Eidelberg D, Kavoussi LR. “Correlation of laparoscopic experience with differential functional brain activation: a positron emission tomography study with oxygen 15-labeled water.” Arch Surg. 2012 Jul;147(7):627-32. doi: 10.1001/archsurg.2012.807. PubMed PMID: 22802056. Bin X, Roy OP, Ghiraldi E, Manglik N, Liang T, Vira M, Kavoussi LR. “Impact of tumour location and surgical approach on recurrence-free and cancer-specific survival analysis in patients with ureteric tumours.” BJU Int. 2012 May 11. doi: 10.1111/j.1464-410X.2012.11199.x. [Epub ahead of print] PubMed PMID: 22578024. Okhunov Z, Roy O, Duty B, Waingankar N, Herati A, Morgenstern N, Sheikh-Fayyaz S, Kavoussi LR. “Clinical evaluation of a novel bipolar radiofrequency ablation system for renal masses.” BJU Int. 2012 Sep;110(5):688-91. doi: 10.1111/j.1464-410X.2012.10940.x. Epub 2012 Mar 6. PubMed PMID: 22394594. Rais-Bahrami S, George AK, Herati AS, Srinivasan AK, Richstone L, Kavoussi LR. “Off-clamp versus complete hilar control laparoscopic partial nephrectomy: comparison by clinical stage.” BJU Int. 2012 May;109(9):1376-81. doi: 10.1111/j.1464-410X.2011.10592.x. Epub 2011 Oct 12. PubMed PMID: 21992566. Duty B, Roy O, Micali S, Richstone L, Vira M, Schwartz M, Kavoussi L. “The application of natural orifice surgery for adenocarcinoma of the prostate.” Urol Oncol. 2011 May-Jun;29(3):330-3. doi: 10.1016/j.urolonc.2011.02.001. Review. PubMed PMID: 21555103. Richstone L, Schwartz MJ, Seideman C, Cadeddu J, Marshall S, Kavoussi LR. “Eye metrics as an objective assessment of surgical skill.” Ann Surg. 2010 Jul;252(1):177-82. doi: 10.1097/SLA.0b013e3181e464fb. PubMed PMID: 20562602. Andonian S, Rais-Bahrami S, Atalla MA, Herati AS, Richstone L, Kavoussi LR. “Laparoendoscopic single-site Pfannenstiel versus standard laparoscopic donor nephrectomy.” J Endourol. 2010 Mar;24(3):429-32. doi: 10.1089/end.2009.0185. PubMed PMID: 20105032. Okeke Z, Andonian S, Srinivasan A, Shapiro E, Vanderbrink BA, Kavoussi LR, Smith AD. “Cryotherapy of the nephrostomy tract: a novel technique to decrease the risk of hemorrhage after tubeless percutaneous renal surgery.” J Endourol. 2009 Mar;23(3):417-20. doi: 10.1089/end.2008.0244. PubMed PMID: 19245298. Cheriff AD, Schulam PG, Docimo SG, Moore RG, Kavoussi LR. “Telesurgical consultation.” J Urol. 1996 Oct;156(4):1391-3. Erratum in: 1997 Oct;158(4):1530. PubMed PMID: 8808879. Ratner LE, Ciseck LJ, Moore RG, Cigarroa FG, Kaufman HS, Kavoussi LR. “Laparoscopic live donor nephrectomy.” Transplantation. 1995 Nov 15;60(9):1047-9. PubMed PMID: 7491680.